Uncle, there is this madcap sixtyish Trokosi Nationalist Propagandist who has been living in the Belgian capital for about as long as I have been living in the Big Apple and claims that yours is “The Illegitimate Despotic Government of Ghana.” His last name readily gives him away for the veritable troglodytic barbarian that he unarguably is. The fact of the matter is that, by all globally reliable accounts, Election 2016 was indisputably the cleanest and the most transparent of all elections in postcolonial Ghana, the most transparent since the politically untutored era of the Nkrumah-led Convention People’s Party. Predictably, though, this self-infatuated mediocre journalist who would like his readers to know that he is a card-carrying member of King Leopold’s Press Association, like it was the greatest honor or the most remarkable academic and professional achievement ever, does not provide a single strand or shred of evidence to authenticate his claim of your administrative despotism. Not that any rational and sensible bona fide Ghanaian citizen expected him to do so. At any rate, as if this zany scumbag does not understand the lexical definition of a “walking contradiction,” recently, this shameless anti-European racist – well, like the rest of the traditional hoodlum pack, he has garnered the trust of a couple of liberal white friends with whom he regularly collaborate to dish his fetid conspiracy theories, actually with their lethargic backing – wrote and published a self-preening column in which he quizzically bragged about having a son who recently got married to a white woman in the country in which he has been living like a bush-rat for quite some time now. Somehow, this turd-spewing political upstart – actually, that was not the exact phrase or compound adjective I had in mind – wanted his readers to celebrate, by his own personal testimony, this interracial “zebra-crossing” abomination that he has been stridently decrying ever since he came to the patently unwanted attention of yours truly and started vacuously pontificating about how, literally speaking, every disease that was ever contracted by the African and/or epidemic was either incubated and/or invented by the white man and wantonly and criminally spread to the rest of the world. Innocent Africans, indeed! In the last of the characteristically desultory pieces that he keeps churning out by the ream, this faux half-Belgian saprophyte claimed that absolutely no African human had anything, whatsoever, to do with the massive exportation of our humankind that infamously became known all over the world as the Trans-Atlantic Slave Trade. 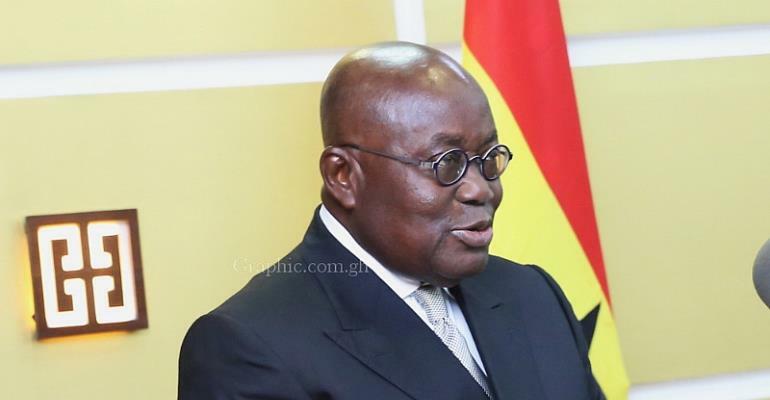 Like himself, he would have Africans take absolutely no responsibility for their own misdeeds, except if your name happens to Nana Addo Dankwa Akufo-Addo and you are the most democratically elected President of the august Democratic Republic of Ghana. He would hear absolutely nothing and see absolutely nothing, as well, about the unprecedently economically apocalyptic era that became known as “Mr. Rawlings’ Necklace.” To this SOB, you may choose to call him “Son of a Bearded Baboon,” or whatever other aliases you choose, all the socioeconomic problems wracking our beloved country began with the 2016 resounding election of Nana Addo Dankwa Akufo-Addo. There is something funny about all these overseas-resident Trokosi Nationalist Propagandists (TNP). Almost to a person, they all start out producing pabulum opinion pieces in which they unctuously claim to be politically and ideologically neutral. And then as if they have been suddenly mounted by the Devil, they begin to show their True Bloody Colors. Naturally, their True Colors are all too politically and ideologically predictable. You see, I saw this pathological and unconscionable goofball going towards the sorry direction in which he presently finds himself quite a while ago. But as our ancient Akan sages used to say in those golden wisdom-invaginated days of yore, when the game is being carried straight into your patio by a bunch of hired professional buffoons, you do not go out of your way to pre-maturely meet or welcome the same. In sum, it was only a matter of time before this SOB voluntarily put his balls in-between the vice of my nutcracker. Now, I have him precisely where I need him; and I intend to teach him a lesson he will never forget.